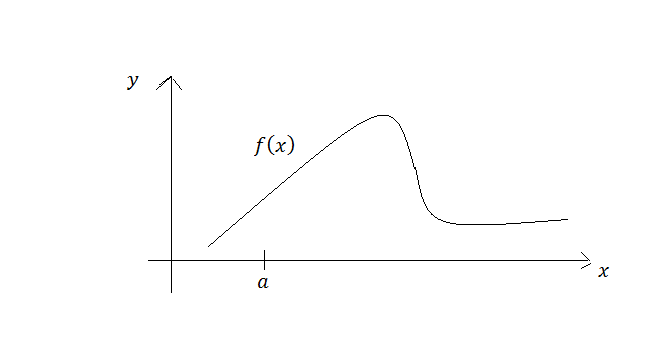 Even though an antideritvative of does not exist, we can still use the Fundamental Theorem of Calculus to "cancel out" the integral sign in this expression.
. You can "cancel out" the integral sign with the derivative by making sure the lower bound of the integral is a constant, the upper bound is a differentiable function of , , and then substituting in the integrand. Lastly the Theorem states you must multiply your result by (similar to the directions in using the chain rule). 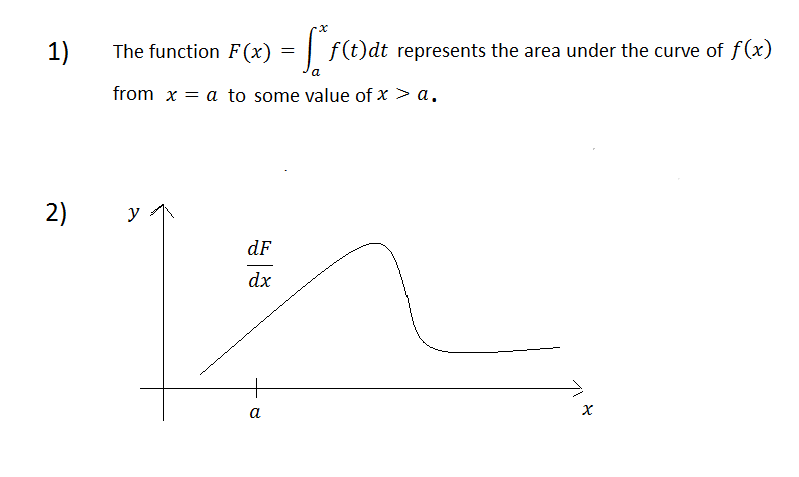 What is the best interpretation of the function? 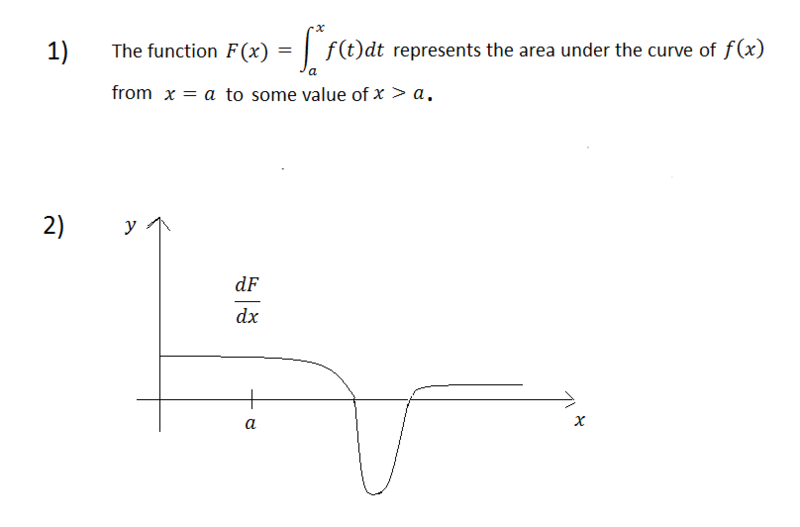 Which plot shows the derivative of the function ? The function represents the area under the curve from to some value of . Do not be confused by the use of in the integrand. The reason we use is because are writing the area as a function of , which requires that we treat the upper limit of integration as a variable . So we replace the independent variable of with a dummy index when we write down the integral. It does not change the fundamental behavior of the function or . 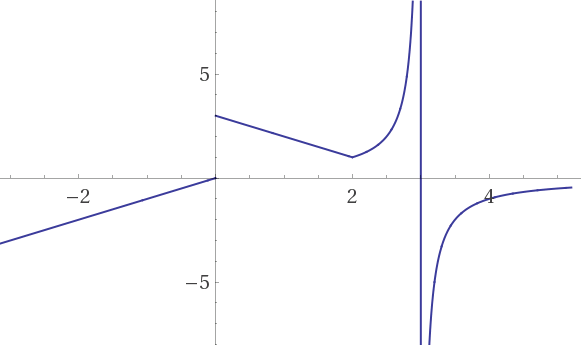 The graph of the derivative of is the same as the graph for . This follows directly from the Second Fundamental Theorem of Calculus. has for its' derivative . Here we could use the Fundamental Theorem of Calculus to evaluate the definite integral; however, that might be difficult and messy. Which of the following is a vertical asymptote? When approaches 3, approaches . What are the horizontal asymptotes of ? Compute the limits of as approaches infinity. Write the domain of the function. The denominator must not equal zero and anything under a radical must be a nonnegative number. 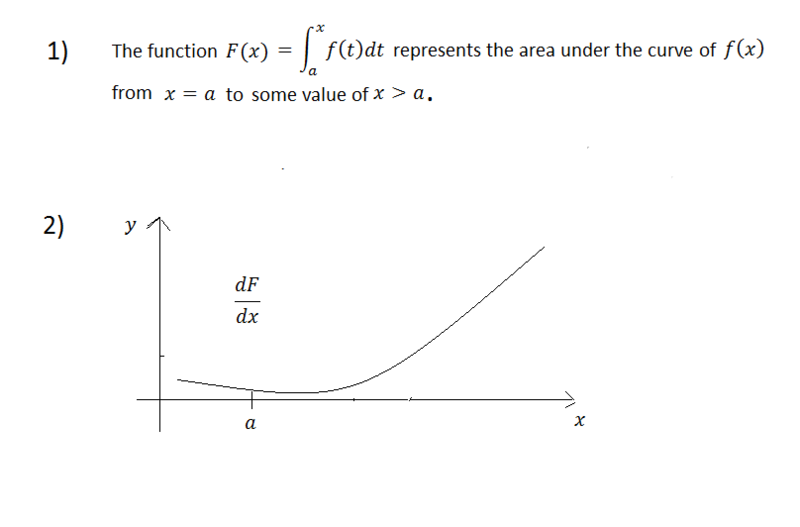 What is the value of the derivative of at x=1? First, let's multiply the numerator and denominator of the fraction in the limit by . As becomes increasingly large the and terms will tend to zero. This leaves us with the limit of . We are asked to find , which means that we will need to find such that . The given information tells us that , which means that . Thus, we will substitute 3 into the equation. The given information tells us that . The equation then becomes . We can now solve for .